If you are still looking for a decent bit of kit to view high-def video with in your living room, then you might want to invest in Asus' new O!play HDP-R1 HD player. Asus O!play features eSATA, USB 2.0 and LAN connectivity, so you can hook it up to everything from your PC or laptop or even your new 256GB USB thumb drive. Asus' device has the standard HDMI connectivity to allow you to view any HD files on your living room telly, which you can control via the included remote. T3 notes that the main downsides with Asus' latest HD media player are that, firstly, "it's not the prettiest of things, especially with a hard drive plugged into the side… built more for function than fashion, you might say." And secondly, a minor gripe, "the lack of wireless connectivity….surely if you've a device that promises to stream your media, you expect to do it without wires in 2009?" 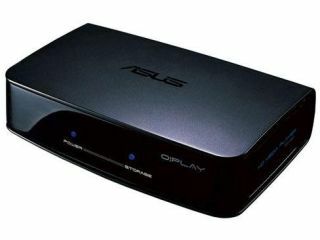 No news as yet on a price or even planned UK release for Asus' O!play HDP-R1 HD media player. TechRadar has contacted Asus UK for further info, so stay tuned for updates as and when we get them.